It was 33 years today that the United States miracled on ice at the 1980 Olympics, surprising the mighty Soviet Union with a 4-3 in the semi-final. I don’t know if it was the greatest sporting event of the 20th century, as it’s sometimes called — but then I’m Canadian, so of course I’d say that. 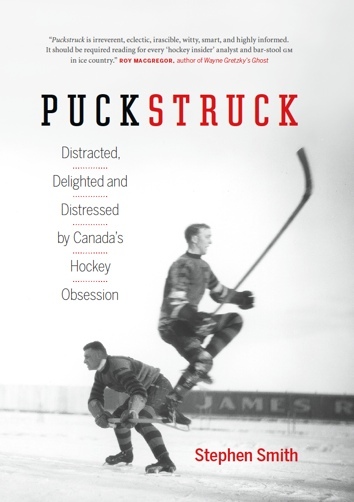 It was a famous victory that the fact that I have no idea where I was when it happened should in no way be allowed to tarnish the significance of the event, which put the U.S. into the gold-medal game, where they beat the Finns, 4-2. I never liked the branding, I will say, all that “Miracle On Ice” fuss. If you’re going to give the Lord the credit, doesn’t that kind take away from the effort put in by Jim Craig, captain Mike Eruzione, and the rest of those college boys all those many winters ago? Eruzione was the one who scored the winning goal against the Soviets. If you’re a big fan of his with a big wallet, then tomorrow’s your day. That’s when Heritage Auctions of Dallas is auctioning the sweater off his Lake Placid back, number 21, in New York City. Online bidding continues until later on tonight. As of just now, the price has reached US$425,000. People who know expect the sweater to sell for at least a million, and maybe more, at the risk of wounding our national retail pride: the sale for C$1.275 million of Paul Henderson’s 1972 number 19 by Montreal’s Classic Auctions is supposed to be the largest ever involving a jersey, in any sport. Also up for grabs tomorrow: Steve Christoff’s 1980 gold medal, the bidding for which is up to $350,000. Eruzione is keeping his medal, but he’s willing to let you have the stick with which he beat Soviet goalie Vladimir Myshkin (an $85,000 is the latest); his gloves ($17,000); hockey pants ($6,000); Olympic ID card ($6,500); Opening Ceremonies white cowboy hat ($1,900); U.S. team wristwatch ($1,100); Olympic toques, lot of 2 ($450); and official Athletes’ Village laundry bag ($280). Classic Auctions has its own hockey auction underway, ending on March 5, and that’s where Mark Pavelich’s 1980 sweater is on the block. Pavelich got one of the assists on Eruzione’s goal, which is obviously not quite the same as having scored it. In dollar terms, the difference is clear enough: the bidding on Pavelich’s number 16 is at C$27,815. 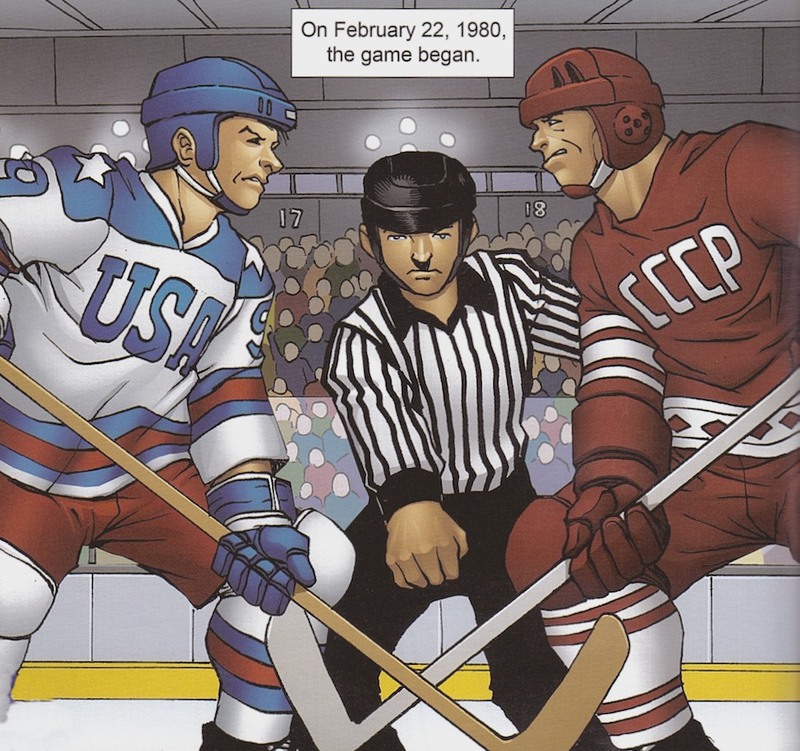 Illustration by Ben Dunn from Miracle On Ice (2008) by Joe Dunn and Ben Dunn.